Style your hair in minutes with this extra-wide Conair ceramic flat iron. Made of pure ceramic, the plates on this smooth unit glide over your hair, reducing frizz and leaving being a glossy mane. Uniform heat distribution technology ensures that you get an even result every time you use this Conair ceramic flat iron. This Hoover Air upright vacuum is steerable and uses WindTunnel 3 technology to get rid of dirt. It blocks 99 percent of allergens with Level 3 AllergenBlock technology. The HEPA filter is reusable and the basin has a bottom-release feature for quick emptying. This Hoover Air upright vacuum includes a multi-floor brush roll, D-grip handle wand and two-in-one crevice tool. Home Depot: Scotts Earthgro Mulch $2.50 ea! Today only and while supplies last, you can save up to 40% on Select Dewalt Combo kits. This sale is just in time for Father’s Day! Build-A-Bear: Transformers Optimus Prime & Bumblebee Bear’s Have ARRIVED! Transformers Optimus Prime & Bumblebee Bear’s Have ARRIVED! There’s more than meets the eye with these furry. They have the ability to change from bear to Autobot with one simple flip! Available while supplies last! Did you know? YOU DO NOT have to have your bear stuffed, in checkout just choose “Please send unstuffed” and then let your little one take their bear into your local Build-A-Bear to add a heart, get them stuffed, etc. FREE SHIPPING! Free FedEx – SmartPost shipping applies to all orders over $40 shipping to U.S. addresses only. The discount code SHIPFREE40 is applied automatically to orders. 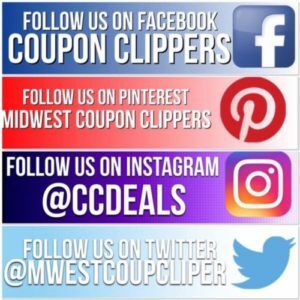 50% off Swimsuits, Flip Flops and More! Through 5/25 Shop the Swim Sale at Disney Store.com and get Up to 50% off Swimsuits, Flip Flops and More! Even better, if you spend over $50 and use Promo Code: DRVCMEMBER you will get an additional 10% off your order. Shipping is FREE with Promo Code: SHIP50 if your purchases are over $50.00. Otherwise shipping starts at $5.95. And yes, you can stack these two promo codes together! AND while supplies last get the Mickey Mouse Summer Fun Insulated Cooler Tote for ONLY $12.00 or the Mickey Mouse Summer Fun Tote for ONLY $10.00 with any purchase over $24.99! WalMart just lowered their prices on Pairs of CAP Barbell Vinyl-Coated Dumbbells, 1 pound to 9 pound weights. Plus if you choose FREE In store pick up, you will get an ADDITIONAL discount! The Little Tikes My First Bouncer is the perfect introduction to bouncing, climbing and sliding fun for little ones. The built-in blower inflates in a snap and makes it easy to keep kids bouncing for hours! This energy-burning inflatable has a reverse blower, making it easy to take down when it’s time to put it away.